Gaining Insight is a lot like mining for gold. You don’t set out for the dirt; you look for the nuggets. Few people are successful unless a lot of people want them to be. We have the tendency to assume a great leader’s accomplishments came about from their own work. The truth, however, is that no leader would be great without the support and help of teammates. As a leader, you will never get ahead until your people are behind you. 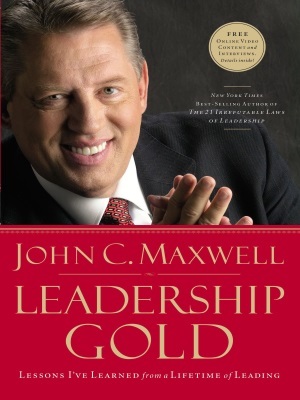 Leadership Gold teaches you how to flourish as a leader by understanding the people on your team, empowering them to work in their strength zone and becoming a leader worth following. Recognize that people differ in the level of their natural abilities, and do not treat everyone the same. Time is an equal-opportunity employer; everyone gets 24 hours a day—no more, no less—but not everybody gets the same return on their 24 hours. The choices we make in critical moments form us and inform others about our true nature.